I’ve been trying to catch up on the thousands of emails I’ve gotten in the past few years and this one I ran into deserves a newsletter of its own. This photo shows a classic and chronic problem that exists all over the country, and in other countries, that affects the health of millions of trees. The question was whether the loose bark on the trunk was a bad sign of something wrong with the tree. Loose bark and bark popping off trees is generally not a big problem. Trees naturally kick bark off as they expand their trunk diameter. But, in this case - it is a big deal! 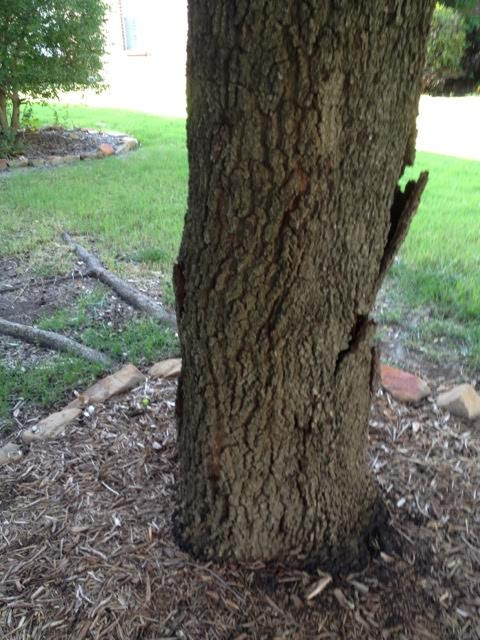 This tree is in severe stress and the loose bark here is breaking away from a diseased area. Reason? The tree is a minimum of 12” too deep in the ground, maybe more. The buried flare, which is part of the trunk, has been kept moist and not breathing properly, and thus deterioration has started.